Seniors with some room to spare are being sought to participate in a new Home Share program in South Australia. 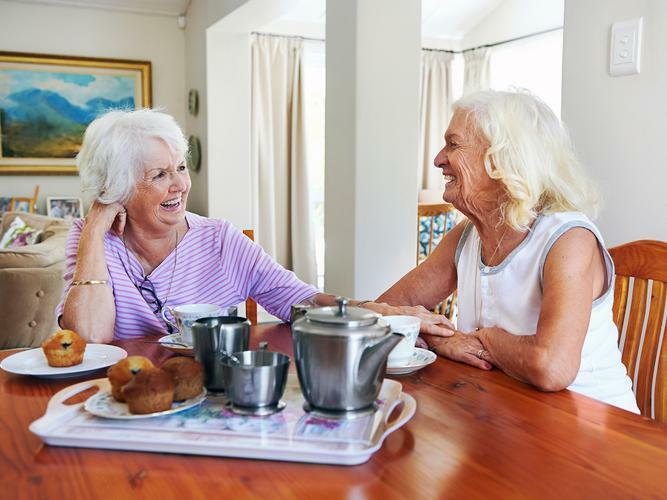 The program, organised by South Australian aged care provider Enabling Confidence at Home (ECH) is set to actively explore the benefits of creating a Home Share program which could offer people more affordable living options and aid in combating social isolation as they age. ECH Chief Executive David Panter says the organisation is looking for home owners aged 55 years and over to participate in a research project to determine interest levels for the concept. He says the program would allow a house holder with a spare room to rent the space to a home sharer in return for affordable rent, an agreed amount of help around the house with tasks such as cleaning, shopping or cooking, or a combination of the two. “Those interested in participating will be asked their thoughts and opinions on a range of issues relating to how a shared housing arrangement could work for them,” Dr Panter says. “Questions such as their preference on age and gender of their sharer, and whether they would prefer money or simply help around the house will be asked through the process. Dr Panter adds that the potential Home Share Program has a range of benefits for communities - from combating social isolation, to the provision of affordable housing in high value markets, to fostering intergenerational connections. Jeff Fiedler from Housing for the Aged Action Group says he is interested in what the program has to offer older Australians. “We think it’s an excellent idea,” he says. “Home sharing has been around for a number of years - especially between older people sharing with younger students - but this is not something that is quite as sought after. “We think older people sharing with older people is the type of scheme older people are seeking. “We have heard a lot of older women say they are interested in share housing with other older women. Mr Fiedler adds that he is in full support of and encourages providers like ECH wanting to explore and develop this model into something that works. “There are a lot of older people owning their own home who have maybe lost their partner and are socially isolated - living in a three bedroom house with lots of space available,” he explains. “Up until now, there hasn’t really been an option for them to consider having an amicable arrangement with someone and having them moving in to live with them. “I think if this can be promoted and regulated, it could offer a lot, as long as it isn’t heard as being the answer. “It is still a niche idea that will suit some and not all, but as an alternative it is a fantastic idea. Dr Panter says the findings from the research will be used to “guide implementation” of a pilot project, with a view to roll out the program more broadly across South Australia if successful. He adds that the research process will also highlight the resources needed to run a sustainable Home Share pilot program. Taking part in the research is voluntary, with participants spending time with ECH Home Share Program Manager and University of Adelaide Research Fellow Victoria Cornell, whose areas of research includes alternative models of housing for older people in the context of choice, independence and housing security. Anyone willing to consider sharing their home and taking part in the research can contact ECH on 1300 275 324 or via email.